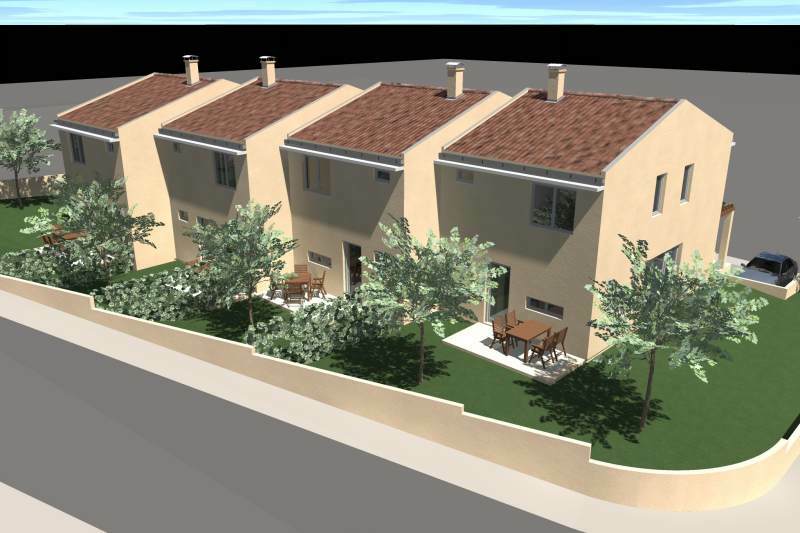 We are pleased to offer you this 3 bedroom semidetached houses with 4 units on very nice and quiet location between town Buje and Town Umag near slovenian border houses are now under construction finish date is April 2012. Ground floor consists of 1 bathroom, , spacious living room with fireplace, kitchen with dinning area, covered terrace, utility and washing room. 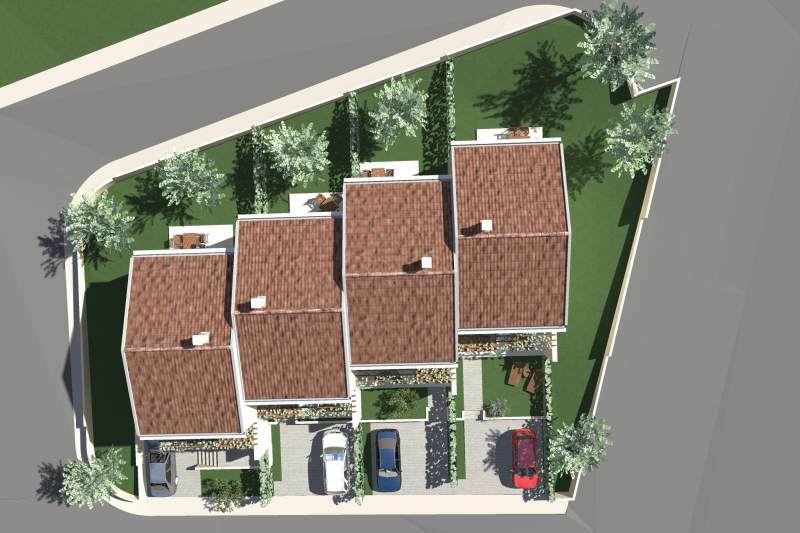 1st floor consists of 2 double bedrooms , 1 single bedroom and1 bathroom, Plot, The plot is 250 m2 which provides nice landscaped garden and 2 private parking lots. 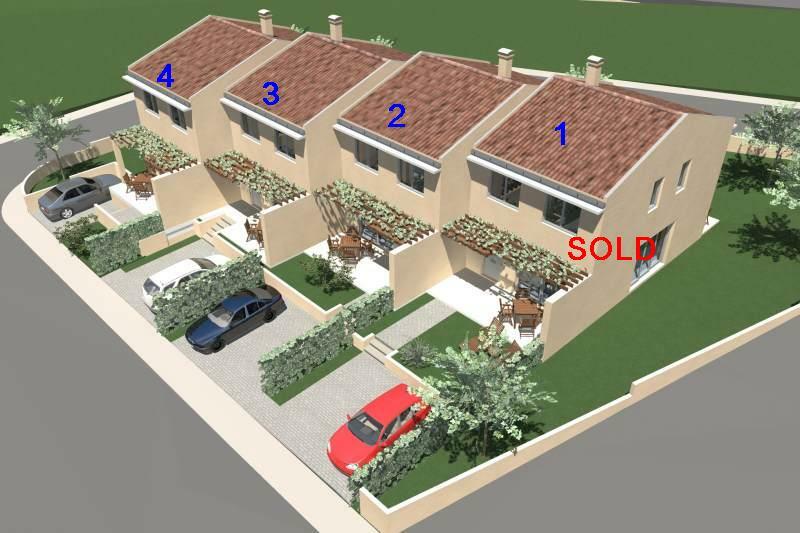 1st floor consists of 2 double bedrooms , 1 single bedroom and1 bathroom, Plot, The plot is 150 m2 which provides nice landscaped garden and and 2 private parking lots. 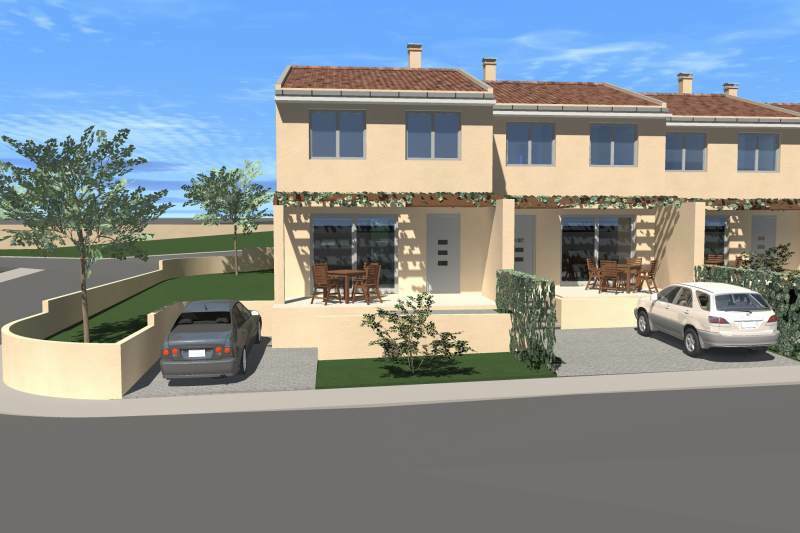 1st floor consists of 2 double bedrooms , 1 single bedroom and1 bathroom, Plot, The plot is 200 m² which provides nice landscaped garden and 2 private parking lots. In the village is local shops, restaurants and the major resort Umag is 12 km which provides all the shops, banks, supermarkets, restaurants distance to the nearest beach is 6 km and distance from Slovenian town Portoroz is 8 km.